This gorgeous piece is brought to you straight from Italy. 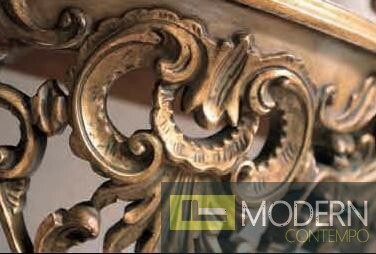 The console table would look great situated behind a sofa or at any entrance way. 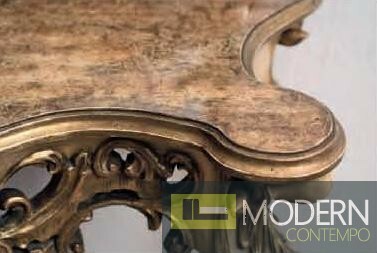 It is constructed from fine hardwood and the tabletop has a marbled finish. 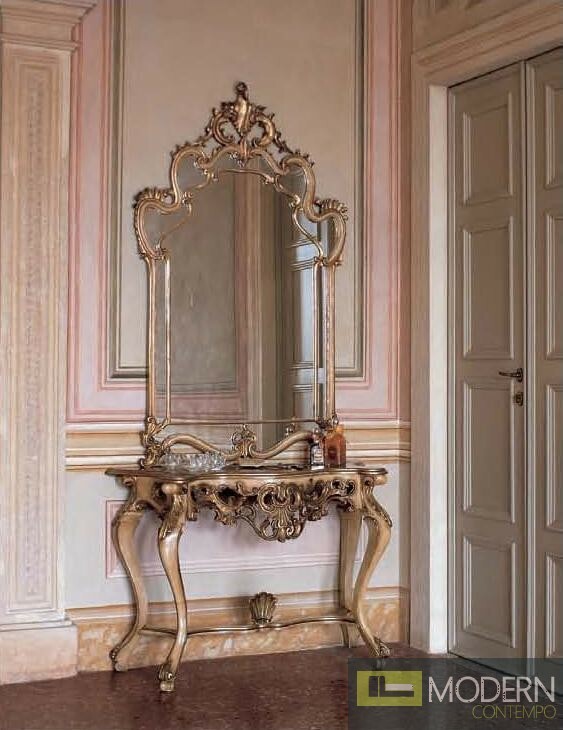 The ornate detailing of the carved wood adds volumes of character, and it has a great, built-in mirror. Please call us for dimensions. San Marco Dark Walnut Extendable Dining Table, 94"